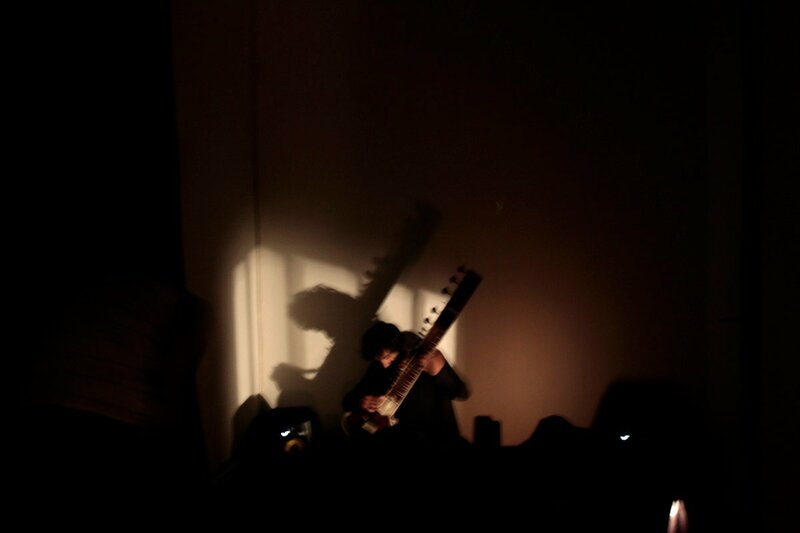 Filipe Dias De, born in Coimbra (Portugal) at some point, was lost in Asia for a while, where he tried unsuccessfully to learn sitar and gender wayang. Moved to Berlin because someone told him that it was cool, where he was part of collectives like Altes Finanzamt, Neukolln Academy of Now! and Philosophical Football Association, and played with various musicians, like Bob Meanza (electronicas/keyboards) and Jorg Maria Zeger (prepared guitar), with whom still has projects. Spent some months in Rio de Janeiro where he met Maracatu through the master Alexandre Garnize, and now he lives in Montemor-o-Novo, where is a member of the choir Fora dHoras (cante alentejano) and of the Rancho de Garagem of Oficinas do Convento.